This class introduces students to the rich dances of the African culture preserved in Cuba including the traditions of the Congo, ArarÃ¡, Yoruba and Franco-Haitian. Experience the passion of this ancient embodied wisdom. Dance is a reflection of life. 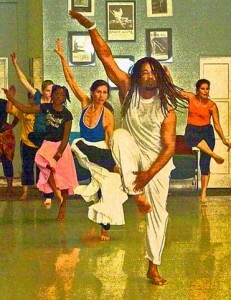 Afro-Cuban dance is deeply connected to nature, the qualities of human character and the power of spirit. 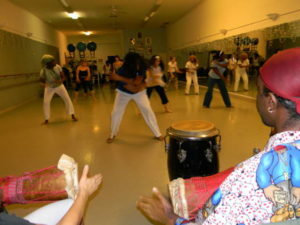 Instruction focuses on developing technique, rhythm, and character while learning about the history and context of these dances. This is a mixed level class open to all ages. 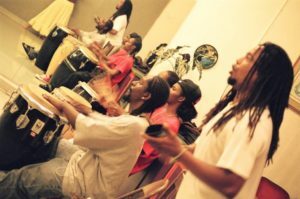 All classes are accompanied by live traditional Afro-Cuban percussion and song. Engage your body, feed your soul and let your spirit soar!